Plastic may be impacting sea turtles more than you might think. According to a new international study, plastic was found in the gut of every single sea turtle researchers examined, casting light on just how bad plastic pollution is in our oceans. Plastic may be impacting sea turtles more than you might think. According to a new international study, plastic was found in the gut of every single sea turtle researchers examined, casting light on just how bad plastic pollution is in our oceans. The problem lies with microplastics, which form from plastic that ends up in the ocean through pollution. It breaks down into tiny pieces due to the sun and other environmental factors and then gets eaten by sea turtles and other marine life that mistakes it for food. The new research was published in the journal Global Change Biology . It found plastic in more than 100 sea turtles across the world in the Atlantic Ocean, Pacific Ocean, and Mediterranean Sea. Some of the objects researchers found in the turtles' guts included tire pieces, cigarettes, and fishing line. 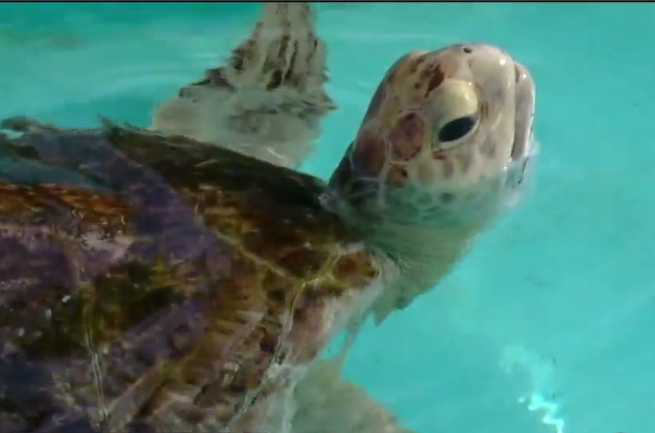 "Some of these chemicals are known to be endocrine disruptors, which means they mess up the hormones of the turtles," said Dr. Charles Manire, Staff Veterinarian at Loggerhead Marinelife Center in Juno Beach. "They may affect the immune system, making them vulnerable to infections." In addition to treating sick and injured sea turtles, LMC also conducts research on the sea turtle population, including recent a collaboration with the University of Georgia to study plastic's impact on sea turtles. "We published a study recently where we examined 97 post hatchling and tiny juvenile turtles -- we had plastic in all but one of those," said Manire. They've found the same problems locally, mainly in post-hatchling and juvenile turtles. "That generation of turtles may not survive and that could have a major impact on the population if we don’t have turtles growing up to reach adulthood," said Manire. "Plastics have toxins in them. The chemicals that are used to makes the plastics are affecting the turtles in ways that are not very obvious to us." Manire explained that the area where the baby turtles live and grow lies within the seaweed patch offshore and unfortunately, and that's where the problem exists. "It’s also where trash accumulates, in the same area," he said. "Especially with the very tiny bits of plastic, these little turtles are eating it because it looks like food to them." The new study by Global Change Biology also estimates between 4.8 million and 12.7 million tons of plastic waste could be entering the our oceans every year. 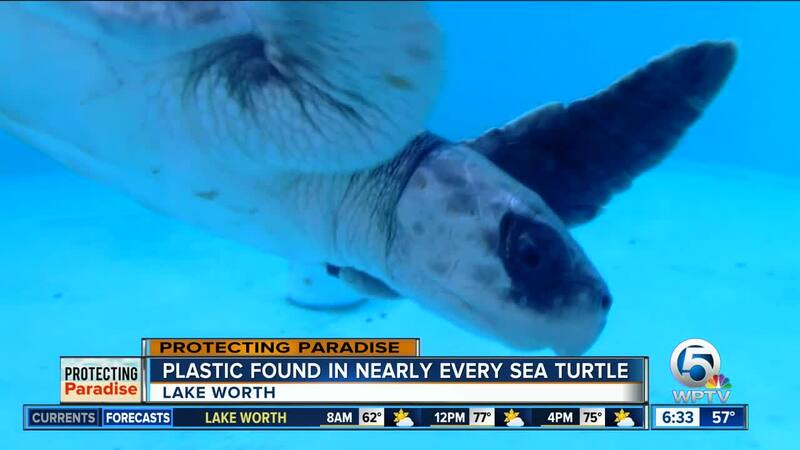 "It’s not affecting just the turtles. It’s affecting a lot of them out there. But the turtles are the sentinel that tells us something is wrong and the little turtles are definitely telling us something is wrong." If you want to help lessen the impact of plastic on marine life, Manire said you can start by picking up any trash you see on the beach . "We're trying to educate the public, trying to educate the world, telling the story so that people realize just how bad the situation is," he said. "So much plastic is ending up into the ocean, not necessarily people intentionally dumping but plastic that blows off land or washes off land during storms." You can also recycle and reduce the amount of plastic you use such as plastic straws, cutlery and cups, and substitute reusable items instead.